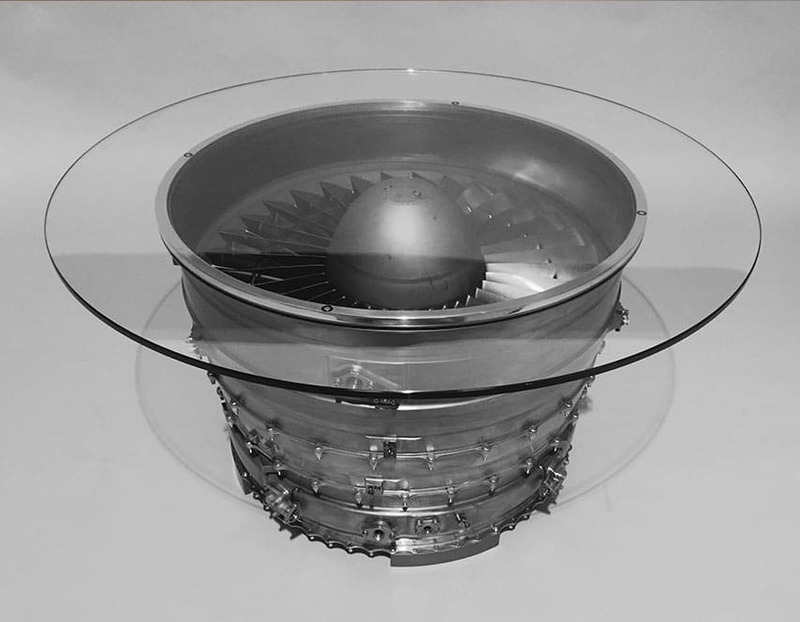 A simply stunning coffee table with 40 polished titanium blades, positioned within its original hub. 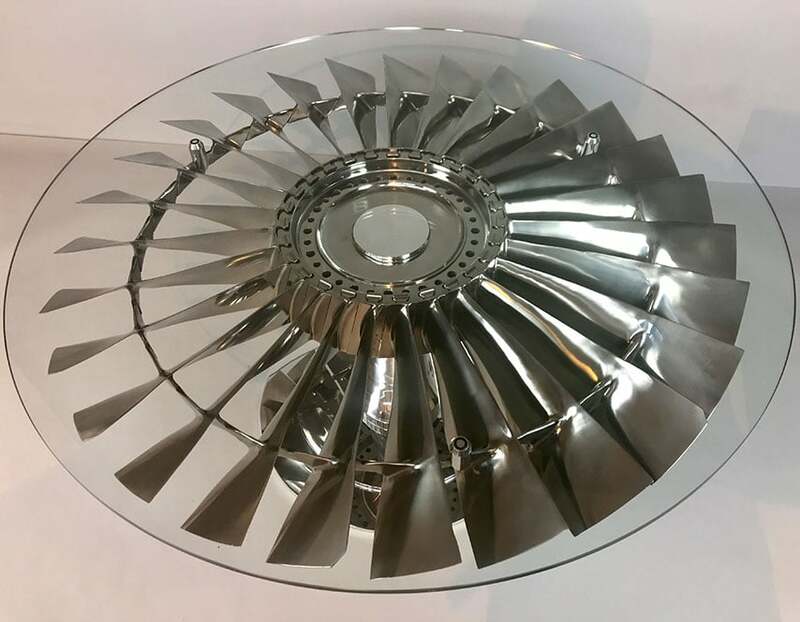 A simply stunning coffee table with 27 polished titanium blades, positioned within its original hub. 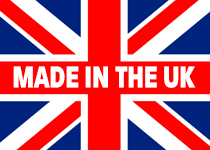 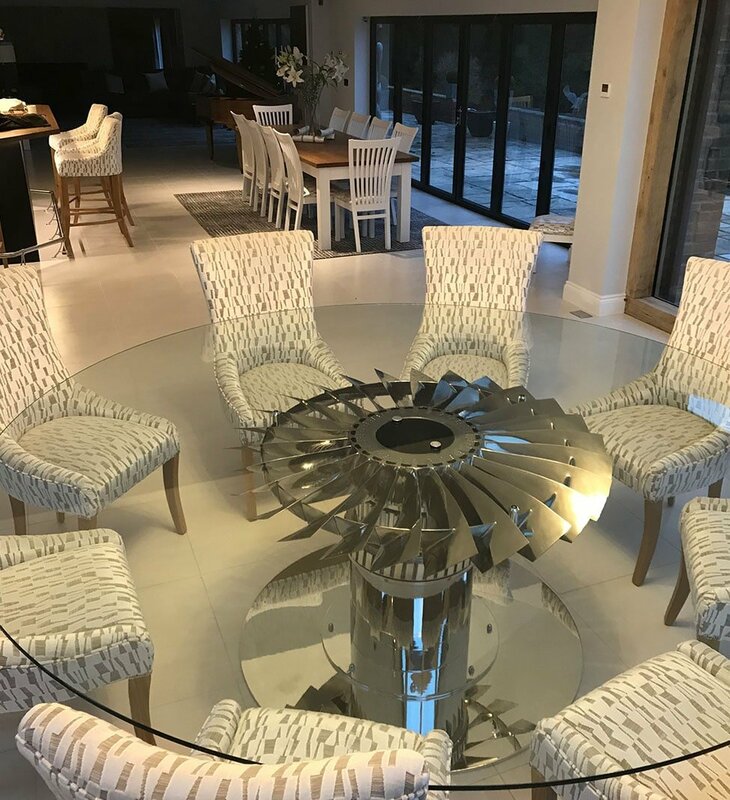 We offer this table in a choice of finishes, highly polished, or a colour of your choice. 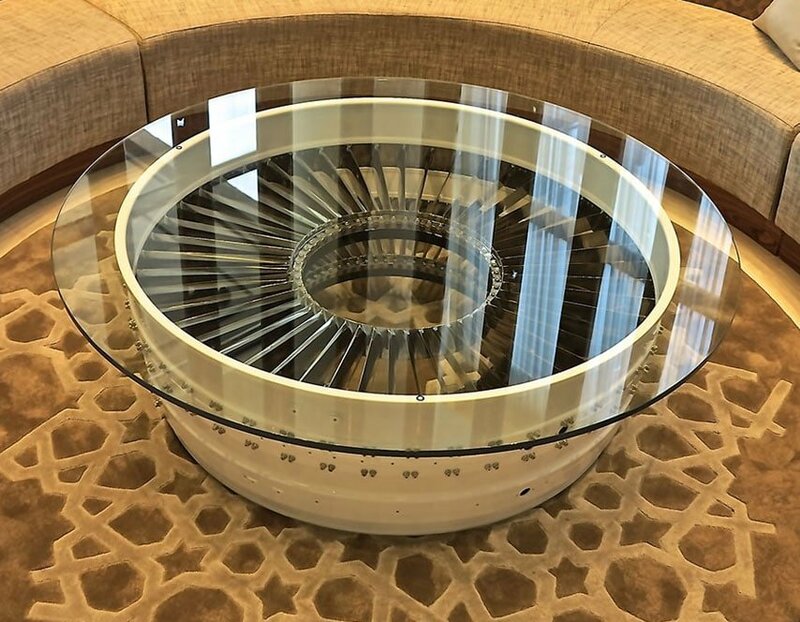 A simply stunning coffee table with 2 sets of polished titanium stator blades underneath toughened glass. 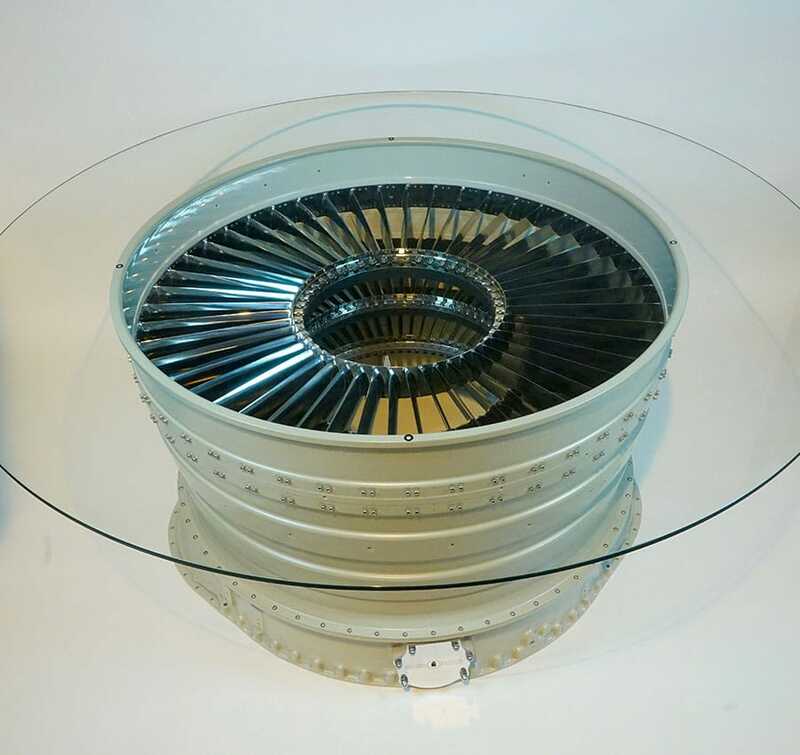 A simply stunning coffee table with 2 sets of polished titanium stator blades, underneath toughened glass. 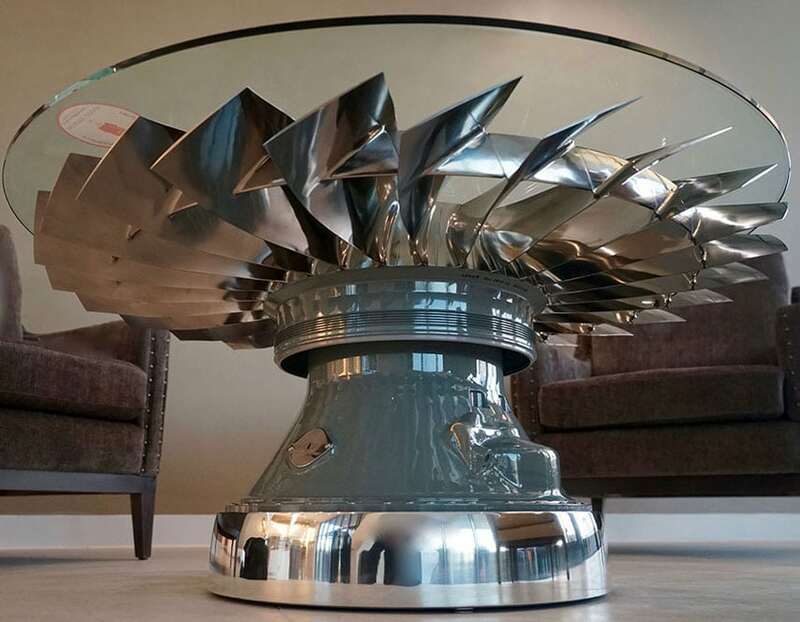 Simply stunning coffee table with 46 individual polished titanium blades. 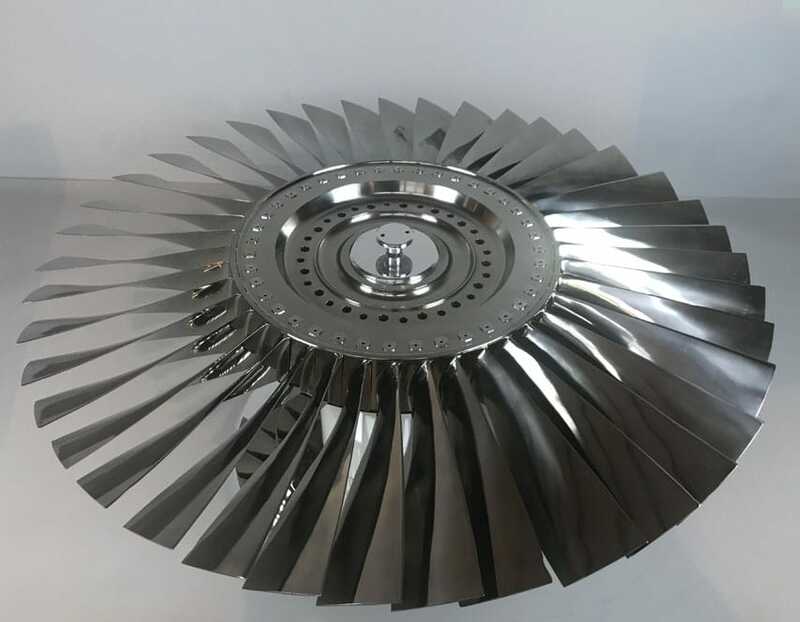 Harrier Jump Jet Pegasus LP1 Fan Blade, positioned on its original hub from within the jet engine. 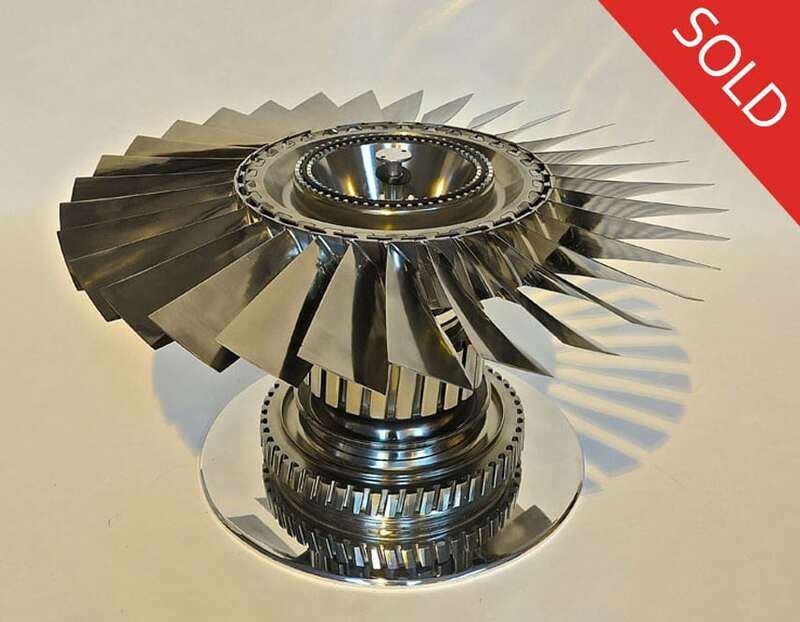 An original complete RB199 module - a 3 stage LP Compressor to create your combat jet coffee table. 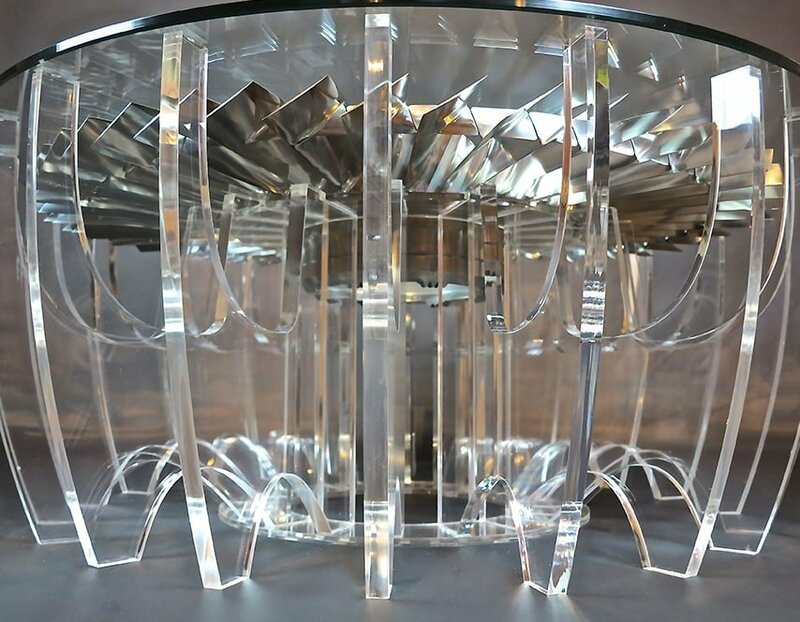 Simply stunning coffee table with 40 individually mirror polished titanium blades. 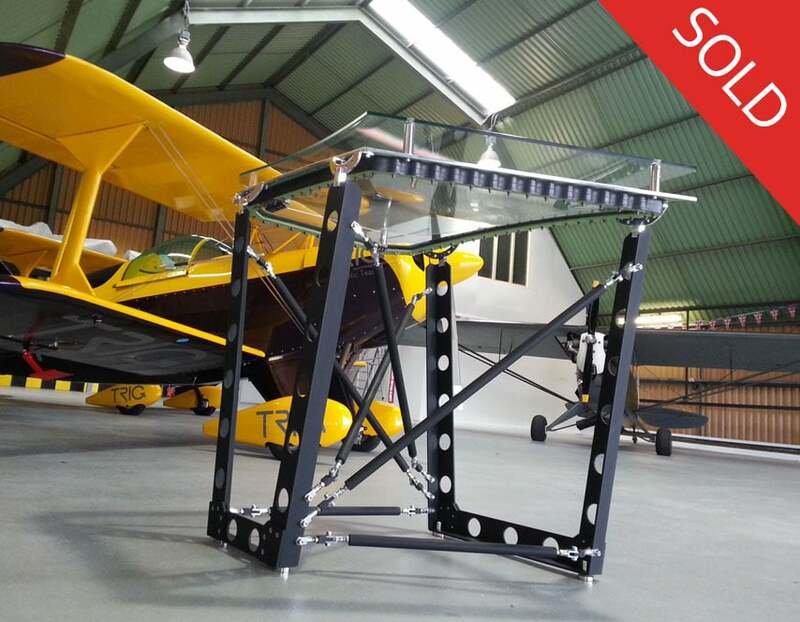 A beautifully proportioned coffee table with 27 polished titanium blades. 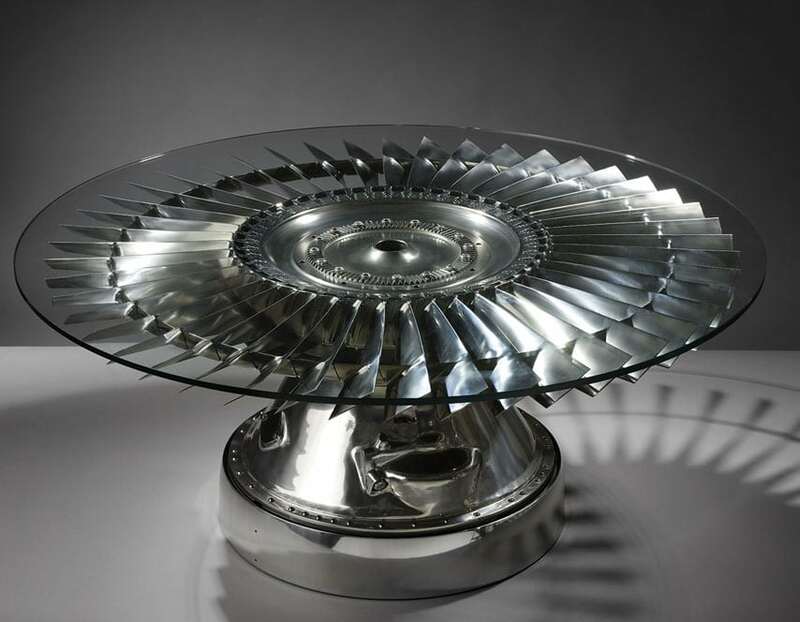 Glamorous jet set livestyle table. 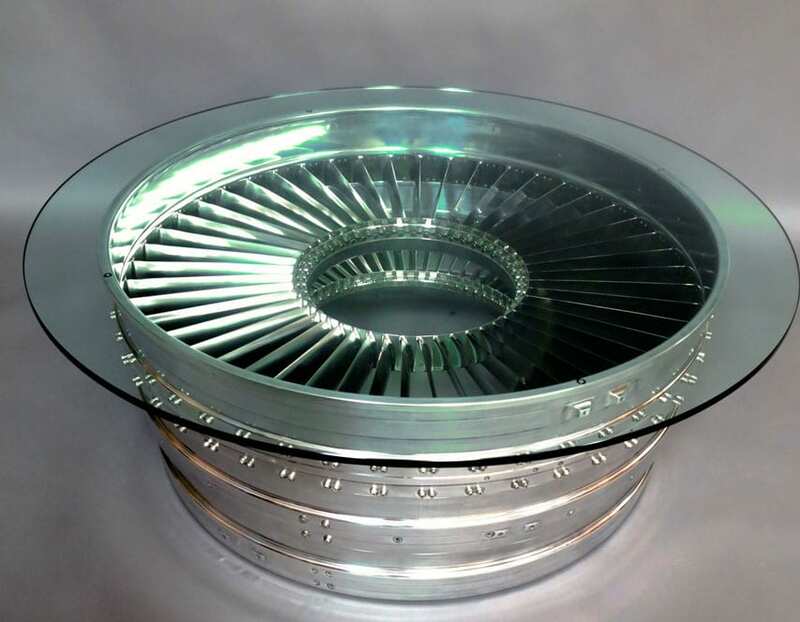 This windshield table has a highly polished aluminium surround. 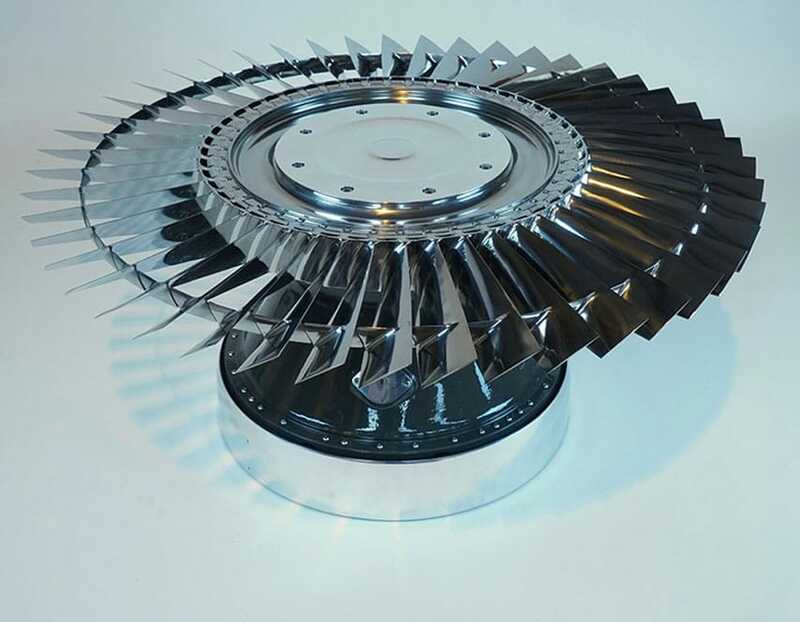 A TriStar LP Fan, mounted to its original drive shaft. 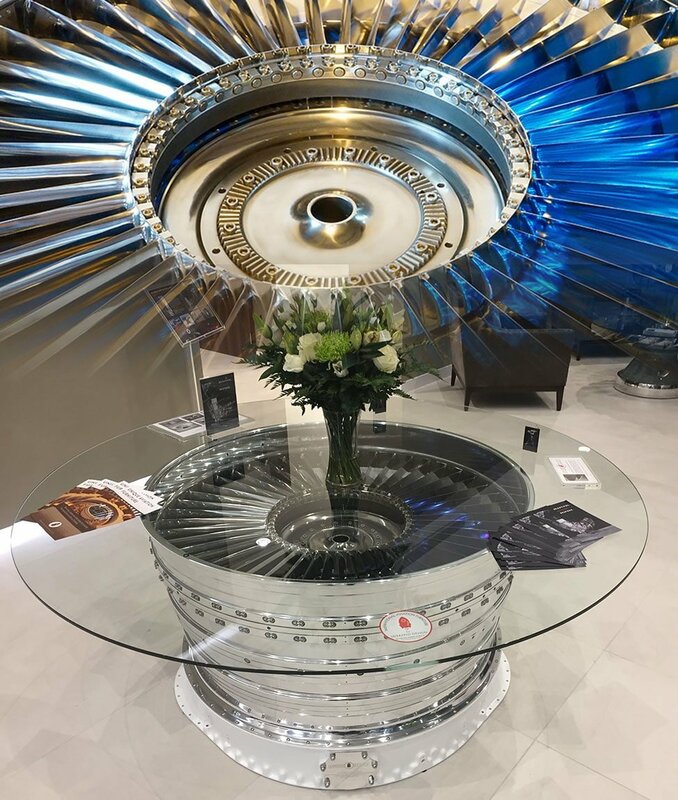 Absolutely beautiful boardroom table with 26 highly polished titanium blades The turbine is secured to chrome / polished base, underneath glass. 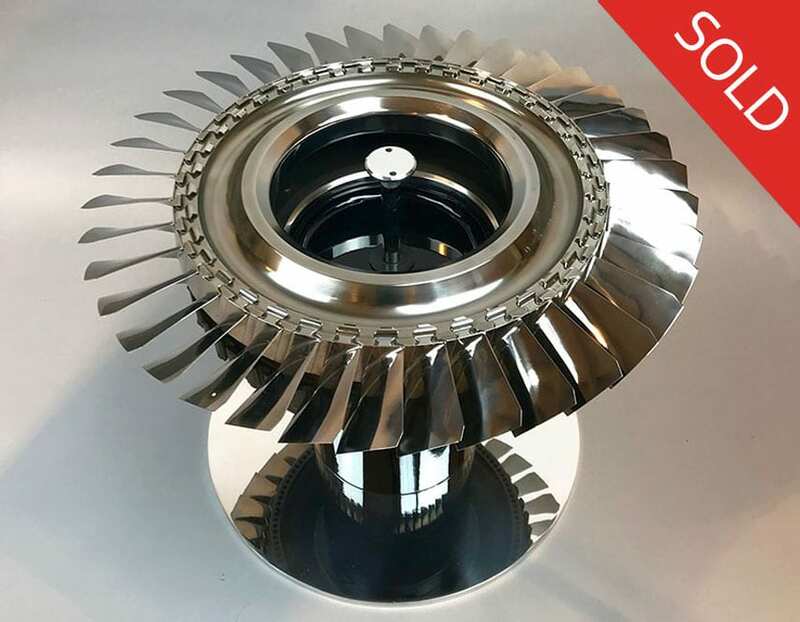 A simply stunning dining table with 3 sets of highly polished titanium stator blades. 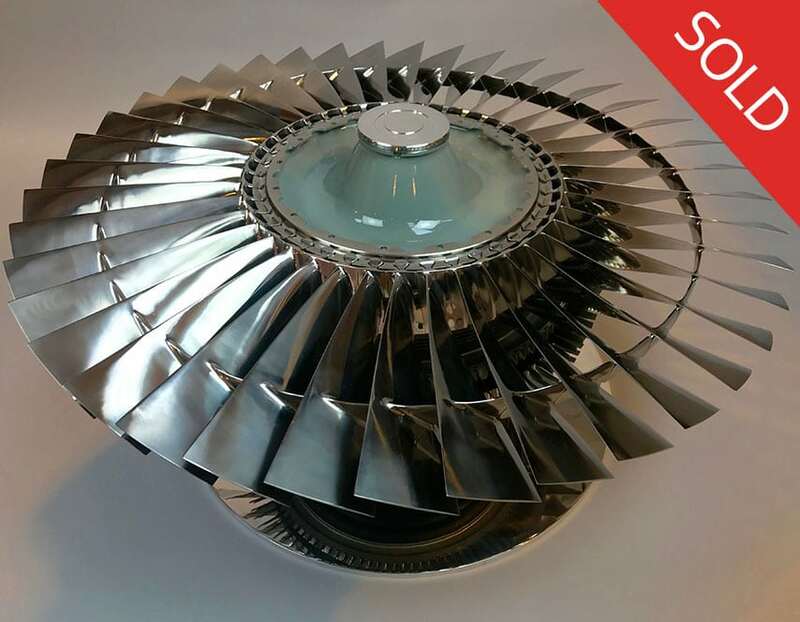 A simply stunning dining table with a polished LP2 turbine.